Too often government tries to “fix” communities whose problems can only truly be solved from within. I was speaking at the Asian Fire Service Association Conference last week alongside Dara Singh, member of the Independent Riots Communities and Victims Panel. According to the Panel’s website it was “set up to examine and understand why the August 2011 riots took place”. Its final report was published in March of this year. Plenty of time for deliberation you might think. An opportunity to go beyond some of those easy projections of left liberal angst about poverty, austerity and the cuts, and the other familiar and wholly inadequate excuses rolled out to explain the quite unprecedented mass vandalism of what came to be called the riots. You’d think so. But you’d be disappointed. As with the the Guardian/LSEReading the Riots report – that might have been excused for being published so much earlier – we learned that young people lack a stake in society, and there aren’t any opportunities for them; there needs to be more respect, agencies need to work together and intervene earlier, as do parents and schools, the police and the general public. In short, the report had nothing to say that hadn’t already been said: not just by previous reports on the riots, but by every administration going back to the New Labour government. Instead of putting all of those policy prejudices to one side, and taking a fresh look at what happened in order to “examine and understand” what was really going on, the riots were treated as just another hook on which to hang them. Trotting out another well-worn and contradictory notion, the report sought to explore ways of responding that might “build social and economic resilience in communities”. The contradiction lies in the notion that resilience is something that resides or can be built from without. In fact such interventions can only undermine communities’ resilience by the very fact of being an official intervention in something that can only be worked out by communities themselves. The same goes for the recommendation that all schools run programmes designed to instill character and confidence in young people. This was not something the young rioters seemed to be lacking. Nor will this do anything to tackle the other problems mentioned, such as disruptions in the classroom, or make young people anymore ‘work ready’. The report makes an uneducated leap from the fact that half of the crimes committed were ‘acquisitive in nature’, to suggesting that a more responsible capitalism and a less ‘aggressive advertising’ by the big brands, will address the problem. Now I have a low view of the rioters – and I’m not one to make excuses for them – but even I wouldn’t attribute their actions to corporate nudging, far less regard it as a solution. To be fair, the report departs from the government’s blaming of 120,000 troubled families; but only to recommend that public services instead “engage” with 500,000 “forgotten” families. In the one area where more forceful and effective intervention was seen to fail, and with disastrous results – policing – the report has no insights to offer. If anything it only contributes to the undermining of that authority by recommending “police forces proactively engage with communities about issues that impact on the perceptions of their integrity”. It seems likely to me that communities expect a very different sort of engagement from the police. And I don’t mean tea and cakes with residents in community halls or the Panel’s call for “social media capability” (what, better than the rioters’ Blackberries?). That residents complained of a “lack of involvement” and regarded their neighbourhoods as far from idyllic or ‘tight-knit’ is hardly surprising. But more of the same old interventions is only going to make things worse. The notion that riot-hit communities need to be “put back on their feet” and that the authorities “accept accountability for turning around the lives of individuals, families and, in turn, communities” is both wrong and incredibly patronising. I’d go as far as to say that communities could do with a lot less engagement if this is the best that policy wonks can come up with. 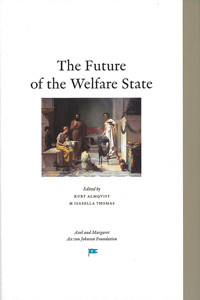 Previous Previous post: What’s so great about the welfare state?